Go to Start → Control Panel → Administrative Tools → Computer Management. On the left pane, open System Tools >> Local Users and Groups >> Users. 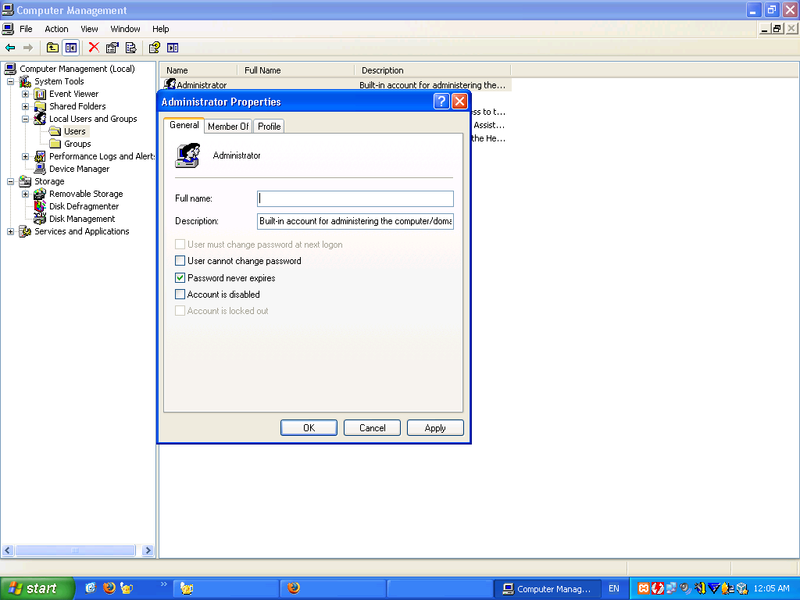 Double click on the Administrator account and edit its settings. I have an XP system that will not allow accessing the right-click menu in the start menu. There is also a folder in Documents and Settings that is set by the past owner. It can’t be renamed or moved. Are these administrator issues in XP? The instructions listed for changing the administrator settings do not apply to XP. Some of the steps do not exist. I have trouble with Google. If you are using Windows XP Home Edition, this won’t work for you since Administrative Tools are disabled in Home Edition.